Chinese fishing boat. Photo: Ian Lloyd/flickr. The hydrocarbon potential of the South China Sea (SCS) has become a source of tension between the littoral states of the region and, to a certain extent, a number of outside actors. However, the SCS’s significance to global oil and gas supplies is over-hyped. Instead, it is the region’s fisheries rather than fossil fuels that have the potential to ignite a regional conflict. Put simply, speculation that the SCS constitutes a ‘second Persian Gulf’ lacks substance. According to the US Energy Information Administration (EIA), the region’s offshore energy resources – at just over 11 billion barrels of oil and 190 trillion cubic feet of natural gas – are comparable to European supplies. Contrary to popular belief, most of SCS’s oil and gas resources are actually located in non-disputed territory, closer to the shores of coastal states. Factors such as technological challenges, inadequate seismic studies, plus huge costs and political risks also place serious limits on deep-water drilling farther into the SCS. But while the value of oil and gas resources in the SCS remains the subject of debate, the potential value of its fishery and aquaculture resources is not in doubt. Currently, the South China Sea accounts for one-tenth of the world’s global fisheries catch, and plays host to a multi-billion dollar fishing industry. Fish protein accounts for more than 22% of the average Asian diet and growing incomes across Asia will inevitably raise demand. Initially, fishing across much of the South China Sea was not even a matter of geopolitical concern. For decades, fishermen were oblivious to maritime boundaries and international maritime laws, with littoral states often turning a blind eye to their activities. This has changed, however, in recent years. 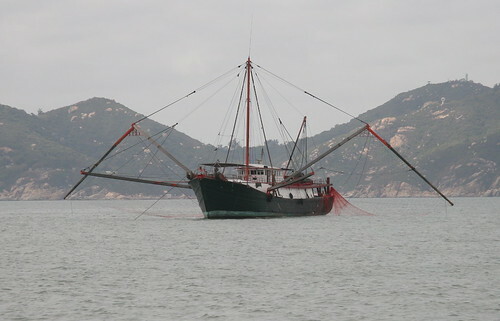 Dwindling fisheries around coastal areas and long range commercial fishing have pushed the fishing frontier farther into the disputed waters of the SCS. As a result, fishing has now become a politically-sensitive and emotionally-charged national security issue for claimant countries. After years of relative state neglect, fishermen across the region are now receiving increased government and public support. A nascent fishing lobby is emerging in several countries advocating better state assistance and support for fishermen encroaching into territorial waters. However, the growing securitization of the SCS’ maritime and territorial disputes puts the fishermen of the region in a precarious position. No longer are they innocent actors making a livelihood: increasingly they are viewed as agents of their home governments and pawns in the maritime policies of their respective states. This viewpoint is not entirely unjustified, given the significant trend in some countries – most notably China – that has seen marked increase in coordination and physical support between its fishermen and maritime authorities. For instance, in April 2012, Chinese fishermen in the Bajo de Masinloc (Scarborough Shoal), about to be apprehended for illegal fishing, were able to radio Chinese Maritime Surveillance ships to intercede on their behalf. The fishermen were caught capturing endangered, protected marine species, including giant clams in the area; however the intervention effectively prevented their arrest by the Philippine maritime authorities. China has also increased its SCS patrols significantly in the last decade – this went up from 477 in 2005 to 1235 in 2009. Though the assertion of state presence worked to the fishermen’s advantage in this case, in the long-run such precedents are detrimental to the security of fishing industries in regional states, and those who depend on them. As distinctions between private economic interests and geopolitical objectives grow blurred, private economic activities become politically tainted. Relatively ‘neutral’ projects, such as constructing shelters for protection during typhoons, are now seen with suspicion and alarm: previous experience has shown that such shelters can eventually turn into military bases or be used for dual purposes. A case in point was the Chinese occupation of Panganiban or Mischief Reef, a feature in the Philippines’ Kalayaan Island Group and within its 200 nm-EEZ. Though in 1995 the project was allegedly for the construction of fishermen shelters, by 1998 it had evolved into a military garrison. Fishermen who enter contested waters are now seen as challenging a coastal state’s sovereignty. Such intrusions provoke calls among claimants for stronger penalties for illegal fishing, making it difficult for governments to release foreign offenders for fear of domestic backlash. The passing of domestic laws that formalize maritime claims in the SCS is also a worrying development. Since fishermen are known to migrate in neighboring areas where maritime law enforcement is weaker, this incentivizes aggrieved local fishermen to compel their government to take a tougher stance on the issue. What results is a competitive dynamic between disputants to build up their naval and coast guard assets, exacerbating tensions and contributing to further regional instability. Overlapping EEZ claims and the squabble for resource access has already spurred a regional naval arms race, with China in the lead in constructing patrol, coastal defense, and warships, to be deployed over the next decade. This dynamic is unsustainable. Alongside the need to safeguard livelihoods, the migratory nature of living marine resources needs a collaborative joint strategy between littoral states, if marine resources are to be managed sustainably. At present, this transboundary issue does not receive the attention it deserves in international maritime law, which grants ‘exclusive’ territorial rights over a maritime area, contributing to a tragedy of the marine commons. Agreements on fishing seasons, maximum catch limits, prohibition on the capture of certain marine species and protection from unilateral arrests are among the ‘neutral’ issues that may facilitate dialogue without spilling over into geopolitics. The last thing individual fishermen need is to get caught in a political standoff, or become modern day soldiers of territorial expansion. This blurring between civilian and state interests leaves them vulnerable as legitimate targets of neighboring governments, in whose waters they use to fish, long before such tensions resurfaced. Lucio Blanco Pitlo III is an independent researcher on Philippine foreign policy and maritime security issues and is formerly a Research Associate at the University of the Philippines Asian Center. The views expressed here are the authors’ own. For more information on issues and events that shape our world please visit the ISN’s featured Weekly Dossiers and Security Watch.